I’ve found a good SIM only deal with my existing network. What happens now? I want a SIM only deal with another network. What do I do? A SIM only deal gets you an allowance of data, calls and texts for a monthly charge, just like any other phone contract. The key difference is that you're not paying for a phone. All you're paying for is the SIM and the allowances. If you're out of contract and happy with the phone you've got and don't want to upgrade to a newer model, it's smart to switch to a SIM only deal. Otherwise, your network will continue to charge you the same monthly premium as when you were still paying for your handset. So going SIM only is a very good way to cut your outgoings and save some money. More and more people are also opting to buy their phone outright and off-contract, then signing up for SIM only deal for data, minutes and texts. This can work out much cheaper than a standard phone contract. But, of course, the catch is that you'll need hundreds of pounds to hand to be able to buy a smartphone outright if you don't already have one. What SIM card do I need? There are a number of types of SIM card. A standard SIM, Micro SIM and Nano SIM, all of which are different sizes. In general, newer phones take the smaller Micro SIMs, while the newest phones accept Nano SIMs. All three types of SIM card store the same information: that is, your phone number and call plan. It's only once you've inserted a SIM that you're able to use a mobile phone network. Once a SIM card has been activated it is permanently locked to the particular network, though not locked to a particular phone. That means you can easily change mobile phone handsets but keep your phone number, your contacts and any saved messages or photos. Want a phone-and-tariff contract instead? Take a look at some of the best on the market at our dedicated comparison page. How much data should I look for in a SIM only deal? That depends on how heavily you use your phone. For what it's worth, the average Briton gets through about 2GB-3GB per month. That'll be fine for general usage. Think: checking your email, browsing the internet and social media sites. But if you stream video or music heavily, you're going to need substantially more. The smartest and best way to check you're choosing a SIM only deal with enough data is to open up your network app on your phone. Here, you'll find a month-by-month breakdown of exactly how much data you've been using. Use this as a guide when picking a SIM only deal and you won't go too far wrong. Unless, of course, you're planning to start using your phone a lot more in future. How can I tell if my phone is unlocked and will accept another network's SIM? Whether your phone is locked to your network depends on the network you're with and even on which handset you've got and which plan you bought it on. For instance, all phones bought on EE and Vodafone are locked to their networks. So if you want to use another network's SIM, you'll first need to unlock your handset. Conversely, when it comes to O2 phones sold on pay monthly plans, only some are unlocked. But if you got a pay-as-you-go phone from O2, all models are unlocked. If you're with Three, the good news is that all phones they sell are unlocked. That applies irrespective of the model you own, the plan you bought it on or whether you bought it on pay monthly contract or pay as you go. All sounds complicated, right? Agreed. But the good news is that there's a simple to check for sure whether your phone is unlocked. All you need to do is to remove your existing SIM and insert another network SIM in your phone. You could borrow a friend's or family member's just to test it. In the event that your phone accepts the SIM and you've got a mobile-phone signal, your phone is unlocked and you won't need to get it unlocked. If there's no signal, your phone is locked. If that's the case, you'll have to call your network to ask them to unlock your smartphone and may have to pay a charge. My phone is unlocked. What's my next move? That's good news. That means you're good to go. The next step is to find a SIM only deal that suits you. The best way to do is that by using the uSwitch comparison tables above. For some guidance as to which network to choose, take a look at all networks that picked up prizes at the 2019 uSwitch awards in the section below. Which mobile phone network is best? Below, you'll find all the mobile networks that scored highly at the uSwitch Mobiles Awards 2019, whether that's for customer service, coverage or roaming. Determined by consumer research as well as the decisions of a panel of judges, comprising technology journalists and industry expert, we're confident that the awards represent a seal of quality. Use the table below to help you decide which network is best for your needs. I've found a SIM only deal with another network. What do I do next? The next step is to check that you’re not still under contract and are free to switch. The best way to do this to ring your network. Once you’ve established that you are, sign up for for the SIM only deal you've chosen. Your SIM card should arrive within two days. In the meantime, ring or email your network to tell them you’d like to leave. If your phone is locked, you'll also need to ask them to unlock your phone. You may find you're encouraged to stay by their customer retentions department. If you are it's important that you're firm with them and insist that you're determined to switch. A charge may apply for unlocking your phone. But this will only be between £15-£20. Once the phone is unlocked you can insert your new SIM and you're all set. If you want to keep your number, make sure you also ask your current network for a PAC code (Porting Authorisation Code) when you notify them you’d like to leave. We’ll look at how you use your PAC code more closely in the section below. How do I keep my number when I get a new SIM? If you want to keep your number when you change networks, you'll need to ask for a PAC code from your current provider. A PAC code is made up of three letters and six numbers and is provided free by your network. To get your PAC code you can either phone or email your network or use a PAC code request form that you can fill on your network's website. To begin the number transfter you need to ring or email the network you're joining and supply them with your PAC code. You must do this within 30 days of the PAC code being issued. The transfer of the number is normally complete the next working day. In the meantime, leave your old SIM in your phone. This means that apart from a very brief period when the transfer is actually underway, you’ll still be able to receive calls and texts on your phone. To check if the transfer is complete, just insert your new SIM in your handset and see if your new number is registered on your new network. If you are, everything's gone according to plan. Find out more about keeping your number when you switch network. Will I lose service if I switch to a SIM only deal with another network? The process of moving network has been designed to keep the time you're without a service down to a minimum. Even after you've given the network you're joining your PAC code (see above for a more detailed explanation of PAC codes), so you'll still be able to take calls and receive texts during this time. When the transfer to your new network is actually happening, your service will be down for a very short period. To test when the transfer has been done, simply insert your new SIM in the phone and restart it. If you've got a service, you're good to go. So you’ve chosen the SIM only deal you want and you’re certain you’ve fulfilled your contractual obligations. Good news. All you need to do to now is phone up your network and tell them you’d like to switch to the SIM only deal you’ve selected. You’ll then be transferred to your new SIM only deal 30 days after your current contract was due to end. It’s that simple. If you're worried that your SIM and the contacts, text messages and other personal information you've stored on it could fall into the wrong hands, you'll need to dispose of it carefully. While you're doing so, ensure you damage the gold foil so you make absolutely certain there's no way anyone can retrieve your personal information. Will there be a credit check? What happens if I fail? Whether you want to sign up for one-month rolling SIM only contact or 12-month SIM only contract with a new network, you'll have to pass credit check. For pay monthly, rolling contracts, the credit check isn't as stringent as for 12 months. So if you've been rejected for a 12-month contract before, there's no reason to believe you won't be accepted. But if you fail your credit check, that doesn't mean you can't get a good SIM only deal. Pay as you go deals with some networks now offer monthly allowances that aren't much less generous than SIM only contracts. The only major difference is that you'll have to remember to top up to ensure you've got credit. Compare SIM only deals that don't require a credit check. Will a SIM only deal improve my credit rating? Being accepted for 12-month SIM only deal can indeed improve your credit rating. That's because you're entering a contract and committing to paying for your monthly allowances on time every month. By keeping your part of the bargain, you're showing potential lenders that you're trustworthy and a good bet for credit. But be wary. If you miss your monthly payments, you risk damaging your credit score. If you think that making your payments might be a problem, it's probably wise to opt for a one-month SIM only deal, which will leave you free to cancel or downgrade your contract if money is tight. Can I trust smaller, less well known networks? Is the service as good? Although the likes of giffgaff and the people's operator aren't as instantly recognisable as high-street names such as Three, EE and Tesco Mobile, they're brands you can trust. 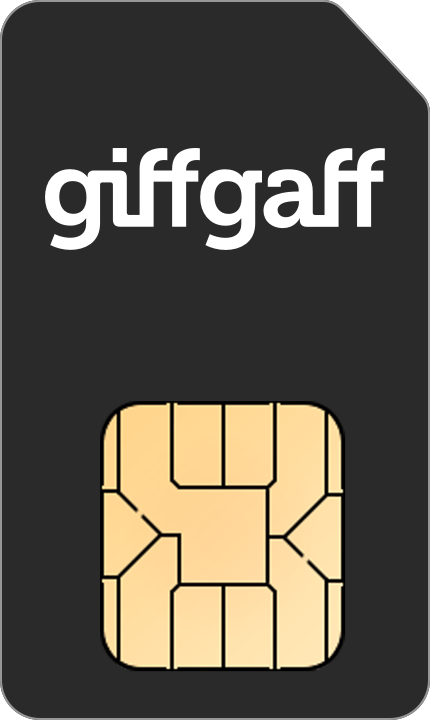 giffgaff, for instance, has won a slew of consumer awards, including Best Value for Money Pay Monthly from uSwitch. In fact, many smaller networks offer market-leading call rates, so can work out cheaper. You'll also find that there's no difference in call quality and mobile internet coverage with smaller providers. That's because their service is based on larger providers' network infrastructure, which these smaller networks pay a fee to use. Where you may find a difference compared with the larger networks is in customer support, however. In order to keep prices low, some smaller networks don't operate a call centre and offer online support only. If you choose smaller networks you also shouldn't expect enticing customer incentives, such as O2's Freebies or movie downloads with EE. But you may decide that you don't want or need those and that a good service and cheap rates are your priority.